Great Britain meet the Netherlands for the first time in a major hockey tournament since the Rio Olympic women’s final on Thursday. Just like in Brazil, GB women will be underdogs when the world No 2 side go up against the Champions Trophy table toppers and world champions. 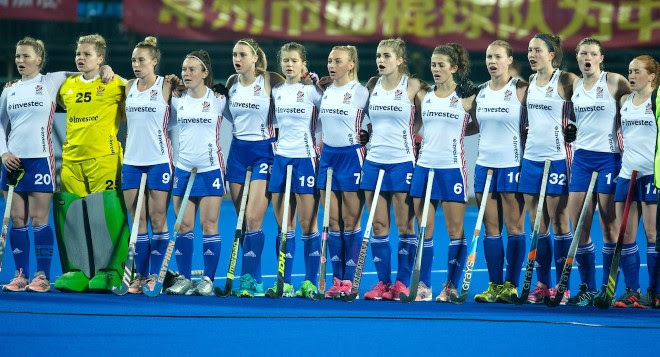 GB have yet to earn a win in China, with two draws and a defeat, while the Dutch have secured three victories. Defender Giselle Ansley admitted to a “very frustrating” draw against Japan as the Olympic champions let slip a two-goal lead on Tuesday. They looked to be on course for victory over the world No 14 side, as Sophie Bray and Tess Howard, with her first in a GB shirt, put David Ralph’s side in the ascendancy before a double from Hazuki Nagai sealed a point for the Cherry Blossoms. Meanwhile, Australia coach Paul Gaudoin was left upbeat for revenge after the Dutch oozed class in a 3-0 defeat. Marijn Veen, 19, proved the latest Dutch star to emerge for the Oranje, thanks to her opening goal, but Gaudoin believes the World Cup champions can be beaten. Argentina have yet to clock a point after the shock result of the day saw China beat Las Leonas 2-0. The result puts China on five points, one point behind Australia. The Hockey Paper will be the only British and Irish publication reporting from 2018 World Cup – so don’t miss out!